Manchester: Manchester City manager Pep Guardiola expects Phil Foden to play a key role in the side over the next decade and says the 18-year-old will be more involved in the first team next season. “I’m happy with the way he plays. He could have scored two goals, he’s exceptional,” Guardiola said. 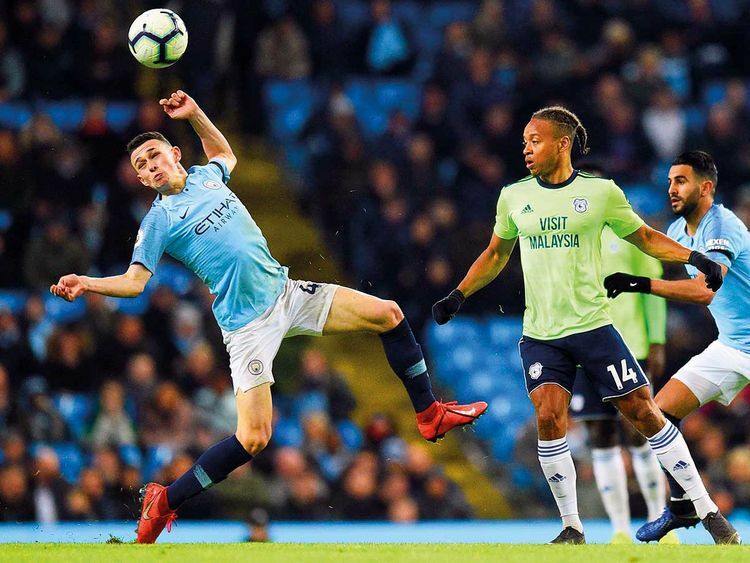 Several highly rated teenagers, frustrated at limited involvement, have moved on in search of regular first-team football but Foden signed a new City contract until 2024 in December and Guardiola said the midfielder would get his chance. He saved a Laporte header from a Foden cross in the 66th minute. In the following five minutes the Philippine international keeper parried and pushed over the bar a fierce Riyad Mahrez drive, was at full stretch to keep out a Sane shot, and then dealt expertly with a Foden effort — the 18-year-old having also hit the post.